A whole blog post about hinges? Boring! 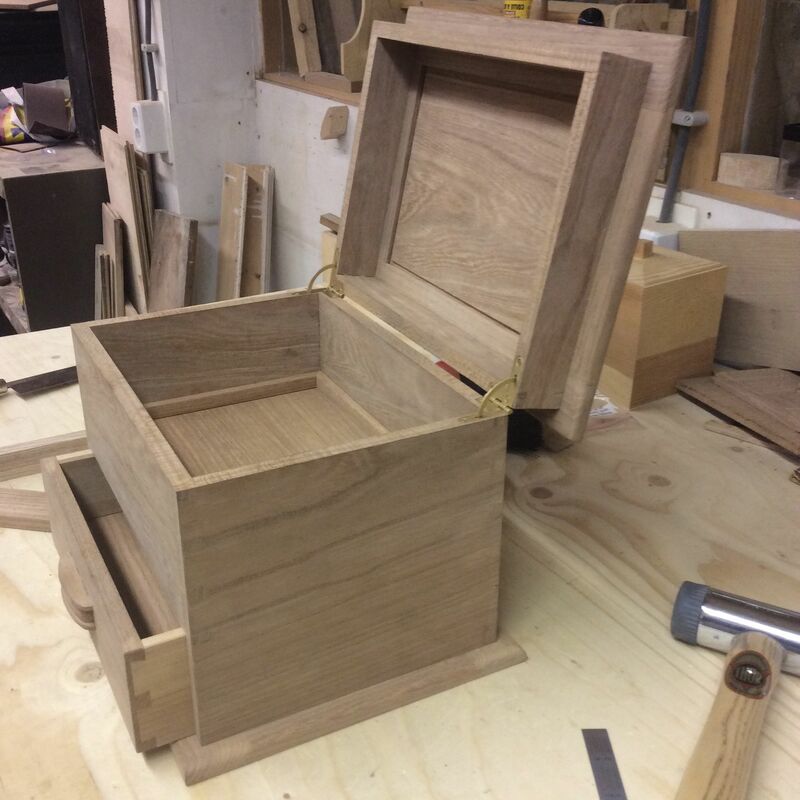 Perhaps so, but I learned a lot about hinges making this box. I had never really given hinges much thought before. I knew they should be strong enough, do the right job and look decent, but didn’t think much beyond that. I did want to get the the correct hinges before starting the box. I didn’t want to realise too late into the project that I would need to change the design to accommodate whatever hinges I could get. Little did I know that the internet is flooded with hinges of all kinds and that it would take ages to choose the right ones. After a long search, I settled for quadrant hinges with a ‘lid stay’. I thought these would be better able to support the lid than regular hinges. I chose the ‘lid stay’ variety since I didn’t want to use a chain to stop the lid from dropping back to far. One thing I discovered is how few websites provide all the dimensions of their hinges. 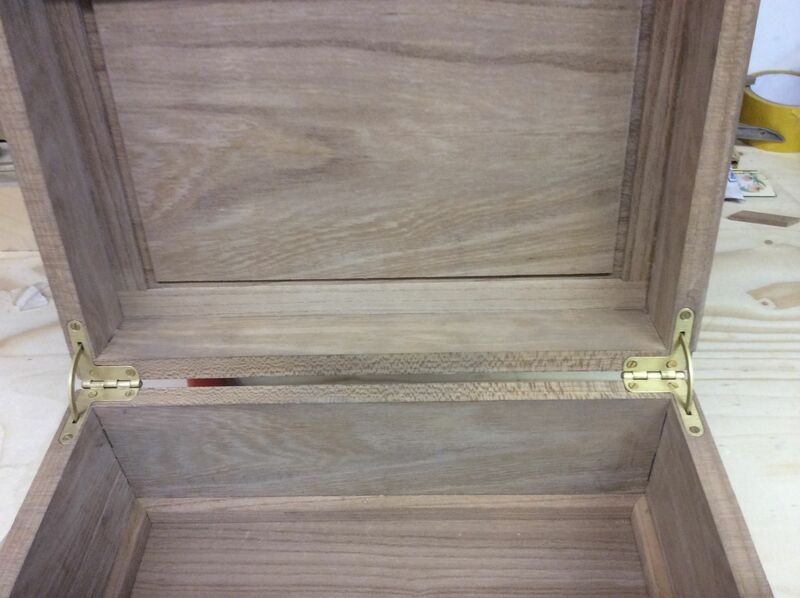 The wood I was using was quite thin (around 12mm) so I had to be sure the hinge would fit. I needed to go the shop and see them for myself before buying. The shop I eventually got them from had a ‘cheap’ and ‘expensive’ variety. I settled for the more expensive ones. They were a lot better: they opened and closed much more smoothly and had a nicer finish. I was nervous about getting this right. 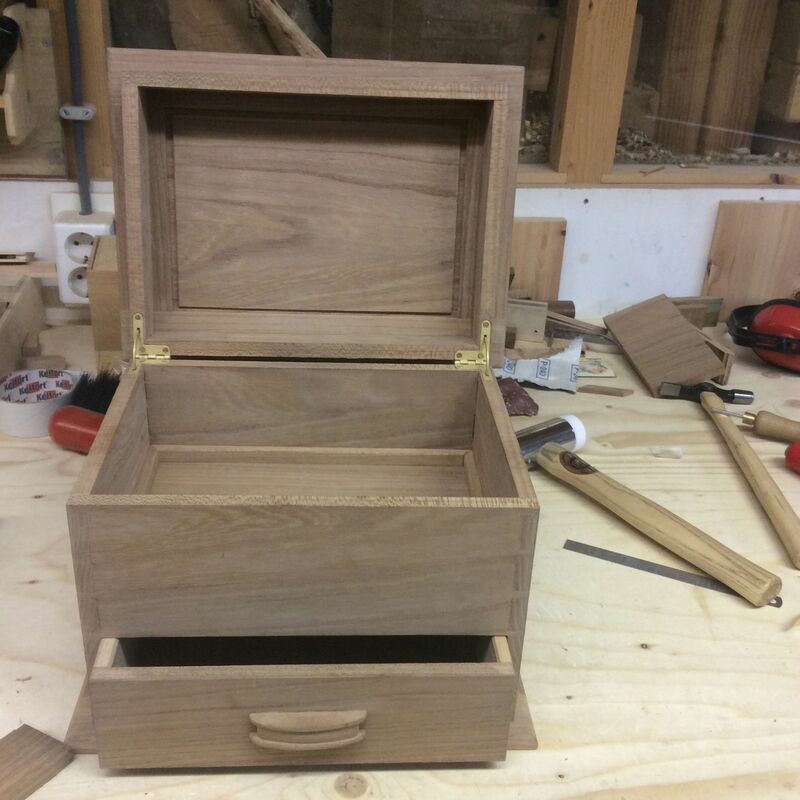 The hinges not only needed to fit perfectly, but I also needed to chop mortise holes in the sides and lid to give the lid stays somewhere to go when the box was closed. In the end it wasn’t much more complicated than installing regular hinges, just a bit more fiddly and time consuming. 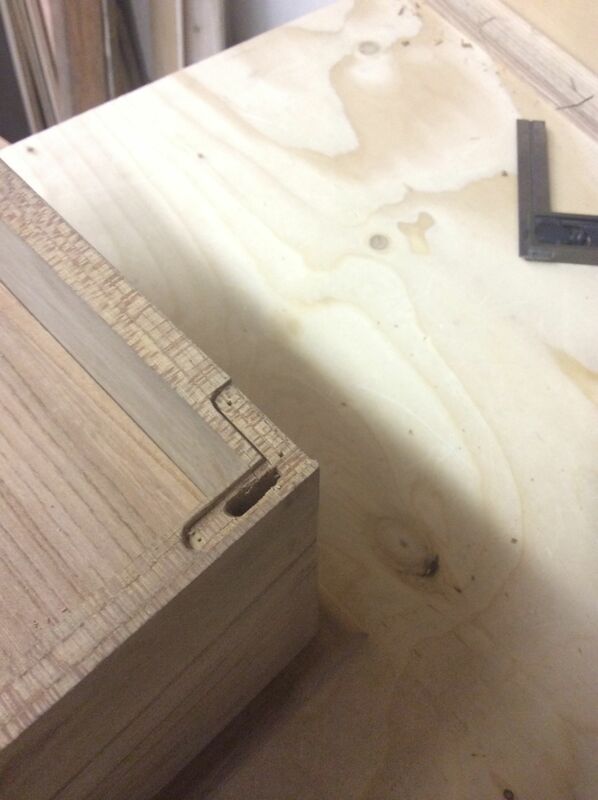 Chiselling out the hinge recesses to an exact fit was painstaking work, not the least because of the thin wall between the hinge recess and the edge of the wood. The wood did break off once or twice, but that was easily fixed with some glue. 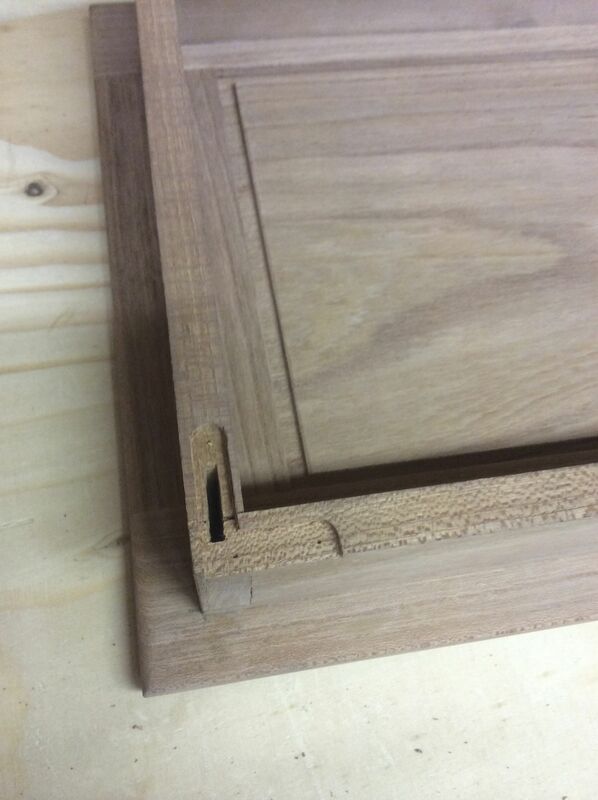 After fitting the hinges into the recesses I chopped the mortise holes in the box and lid with a 2mm(!) chisel. After a bit of fiddling I got the lid to fit (more or less) seamlessly onto the box. It was a lot of work, but I think it was well worth the extra effort. Lost your hearing and balance? Try woodworking! There’s nothing boring about how to properly install hardware. Have you ever seen a nice piece of furniture with crappy hardware installed? I have, and it cheapens the look of the piece. 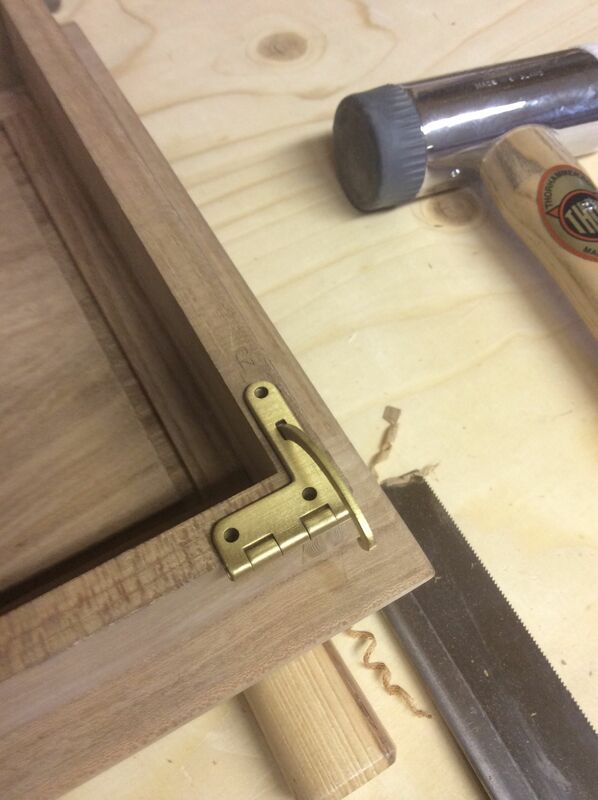 Your hinges look very well done! Yes, poor quality and badly fitted hardware makes a big difference. I guess hardware is so essential to how someone experiences a piece of furniture – the feeling of how a lid or a door opens and shuts. Boring?? Not at all! Great job done, well documented! Apuntes de carpintería: Aprende, crea, comparte. turning trees into heirloom quality furnishing etc. "There's no scrap wood, just little good pieces"